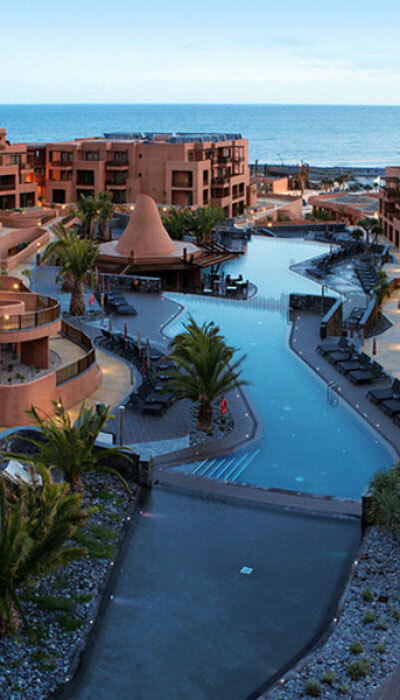 The hotel Abama, cat. 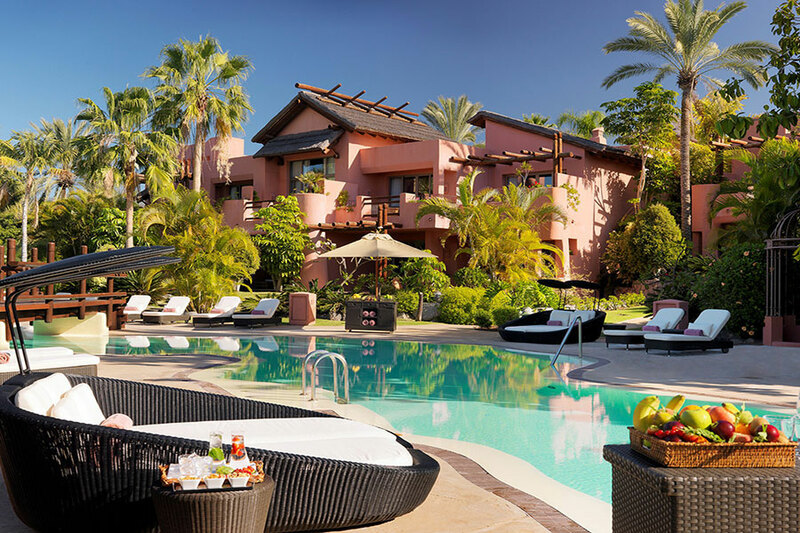 5 * superior, is located on the southeastern coast of Tenerife, in a very quiet and hidden zone of the coast, where tropical vegetation mixes with a beautiful volcanic landscape. 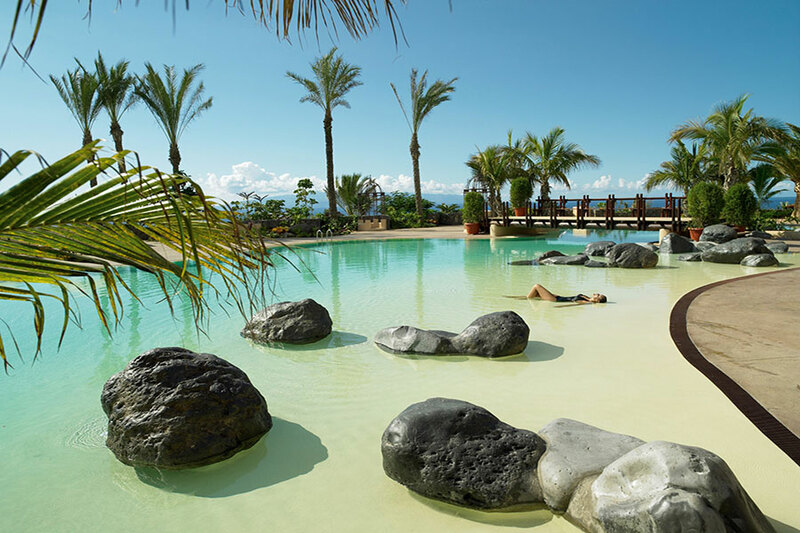 With an architecture of Arab inspiration, the citadel of Abama is a network of interconnected buildings overlooking Ocean Altlantico with an impressive view of the sea and the neighboring island of La Gomera. 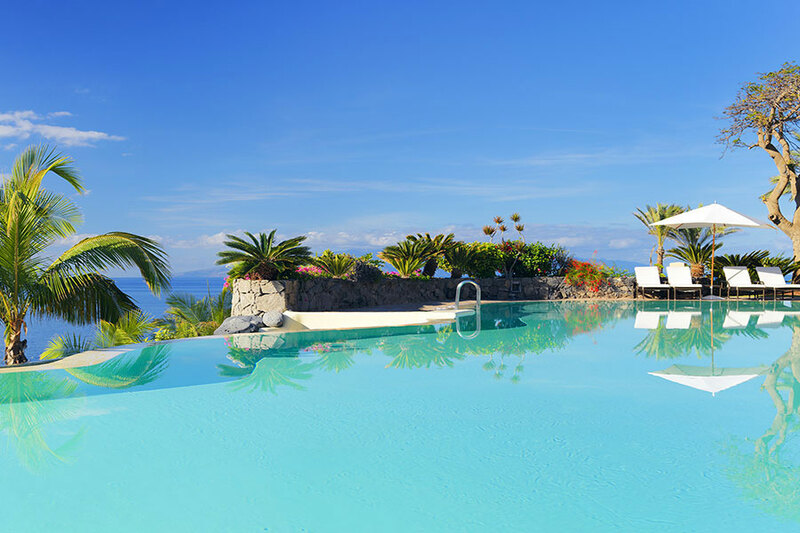 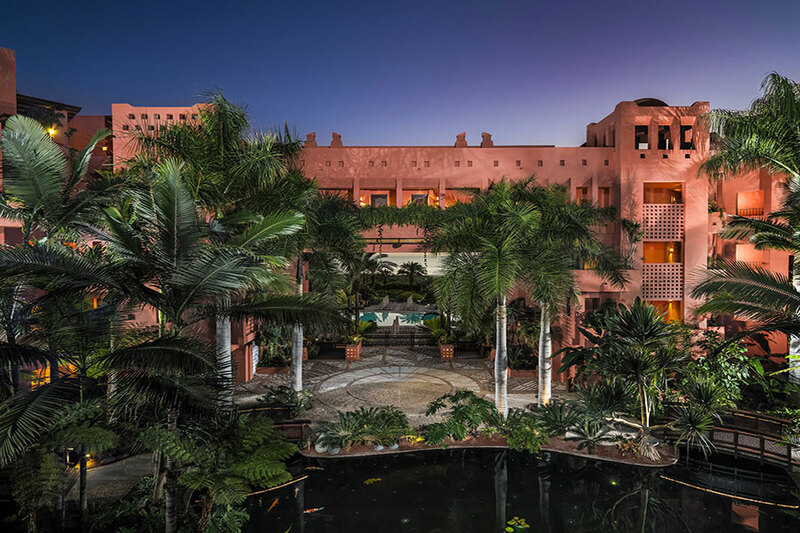 It is one of the best hotels on the island, a huge complex, perfectly integrated into the surrounding environment, with numerous gardens, ponds, pools, SPA, bars and restaurants. 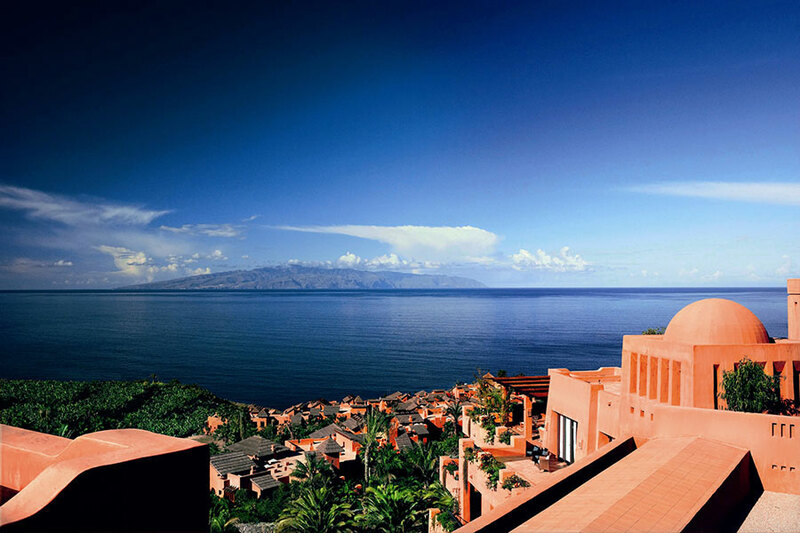 You can reach a lovely beach of white sand through a funicular reserved for hotel guests, and it is only one of the luxuries of Abama. 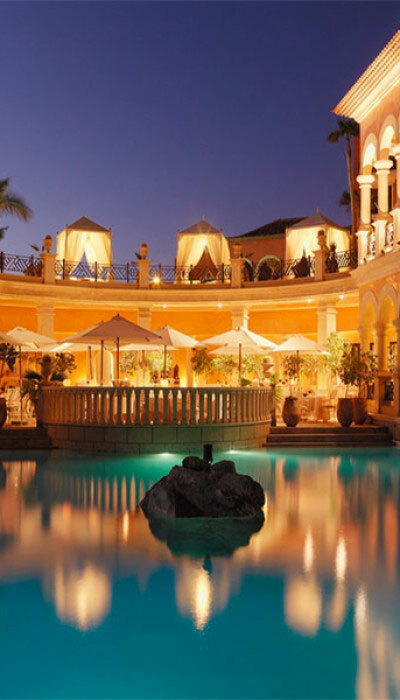 Within the resort there are many restaurants with different characteristics offering ethnic and traditional cuisine: the most famous are MB and Kabuki, both with Michelin stars. 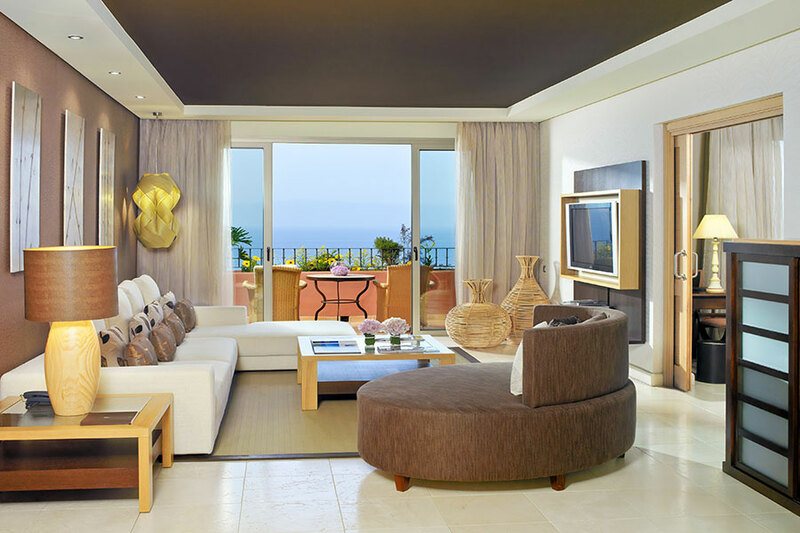 The rooms are spacious and equipped with many amenities and are available Suites and Villas of different types. 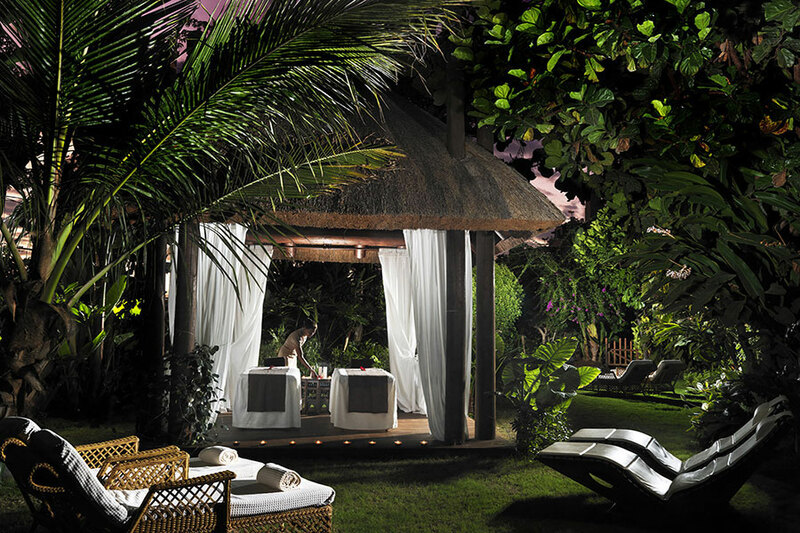 The SPA at the resort is a magnificent center dedicated to wellness where there are available personalized programs and treatments for the guests: total wellness, nutrition experts, ritual baths, beauty treatments, massages, yoga classes, manicures, pedicures, hair removal treatments, treatments face and much more. 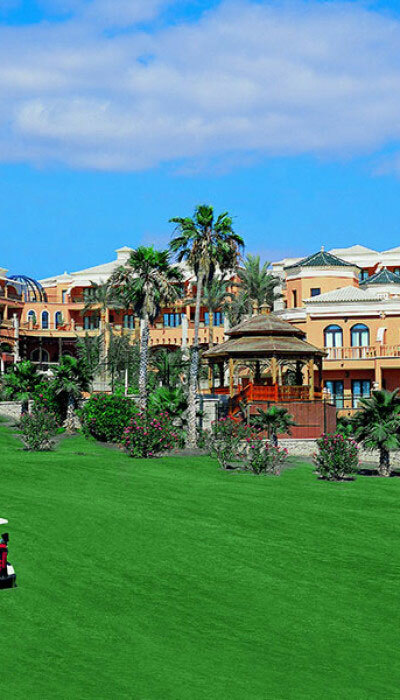 The Golf course of Abama is one of Europe’s best, exciting and wonderful and can be reached with the buggy from the hotel: it is certainly a unique experience.